Program Early morning take visit to Fish Market in Negambo, back to hotel refresh, breakfast and proceed to World’s largest Elephant Orphanage in Pinnawela. Observe more than 100 Elephants are been fed, whole herd marching towards the river and bathing. Reach Sigiriya/ Habarana for the evening. Program Early breakfast and climb UNESCO protected Sigiriya Fortress Rock and Ritigala. Take a village safari at Hiriwaduwna village. You will be taken by bullock cart through lush green paddy field, a canoe ride across the lake, authentic Sri Lankan lunch and tea. Afternoon explore Minneriya/ Khadulla national park by jeep. Relax the evening. Program Breakfast and drive to Polonnaruw UNESCO protected ruin city, visit all the sites including 3rd century manmade lake “Parakramasamudra”. Drive to Aukkana, and visit the tallest standing Buddha statue and similar era manmade lake “Kalawewa”. Back to the same hotel for the evening. Program Breakfast, visit Rock Temple, Golden Temple and proceed to Kandy, en route stop at Spice & Herbal Garden, Batik factory, Muththumariamman temple in Matale. Reach Kandy, get settled at hotel and take a drive up to Kandy city view point and a walk around the lake. 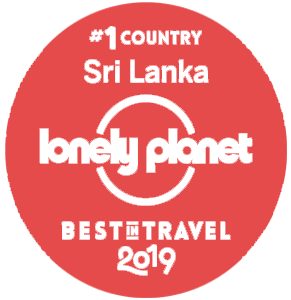 Program Breakfast and City tour in Colombo: City center Pettah, Red Mosque, Colonial capital Fort, Old Parliament, Galle Face Green, Gangarama Temple, Town Hall, Independence Square/ Arcade, Colombo City Center and shopping. As per flight schedule transfer to Airport.